Join us on Saturday, March 28, 2020. 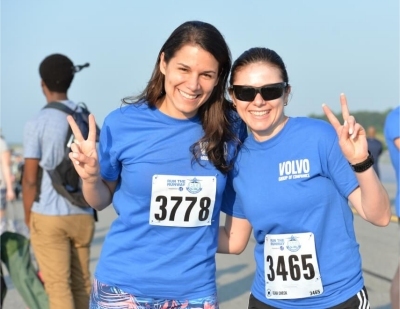 The untimed 5k Walk to Win Against Hunger is back. 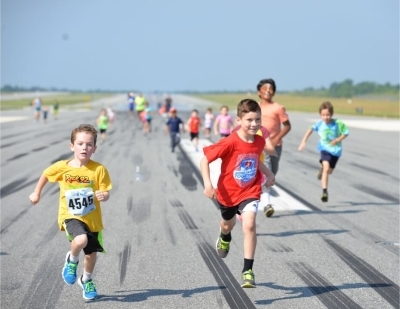 For just $20, participants can register for the Walk to Win Against Hunger, which will be an untimed walk/run held on the airport runway at the same time as the 5K/10K run. Participants in the Walk to Win Against Hunger will be asked to create a fundraising page on the PTIRun.com website and to recruit as many sponsors as possible. The individual with the highest dollar level of sponsors will win $200 airline ticket vouchers. Our beneficiaries are Second Harvest Food Bank, High Point Open Door Ministry, and Greensboro Urban Ministry. One in six people (more than 351,000) in Second Harvest Food Bank of Northwest NC’s 18-county service area is food insecure, living with uncertainty about where their next meal will come from. Your contributions will help solve this problem and all donation stay local! This was an really great event from the beginning to the end. Parking was easy, and the course was so much fun. I will be back next year for sure. What a fun event. When else can you run on a runway. Very cool there were planes out on the course. What a perfect morning. The run was fun and benefits a great cause. Volunteers were super friendly and I would definitely do this race again. Great course, plenty of hydration stations, easy parking, one of the best run races I’ve been to! Fabulous volunteers! Super well organized. A race to run again. Well done!!. We love our sponsors! Contact us to get involved.